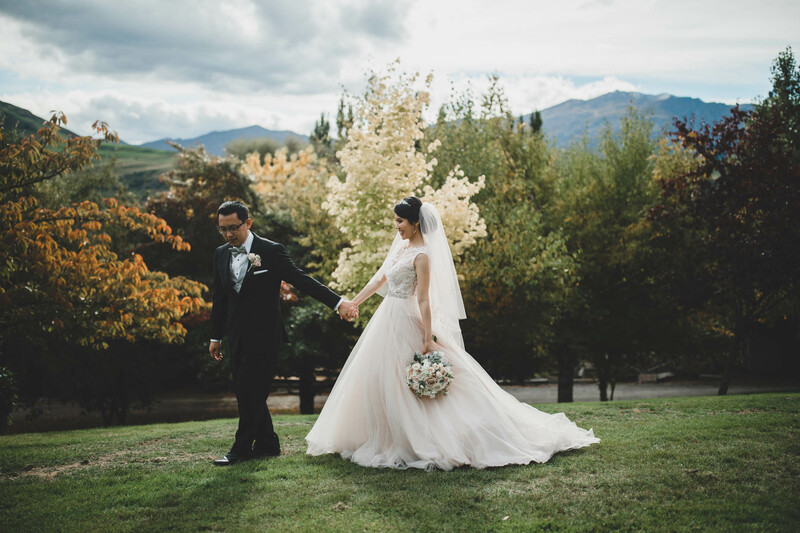 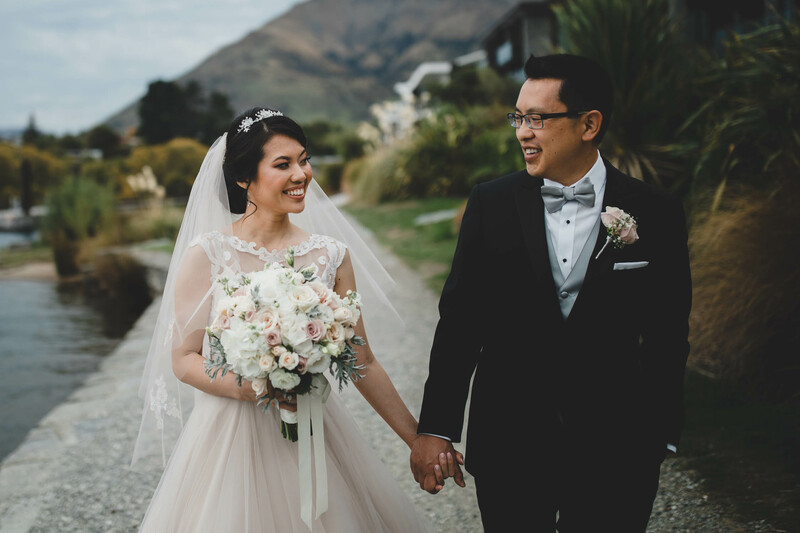 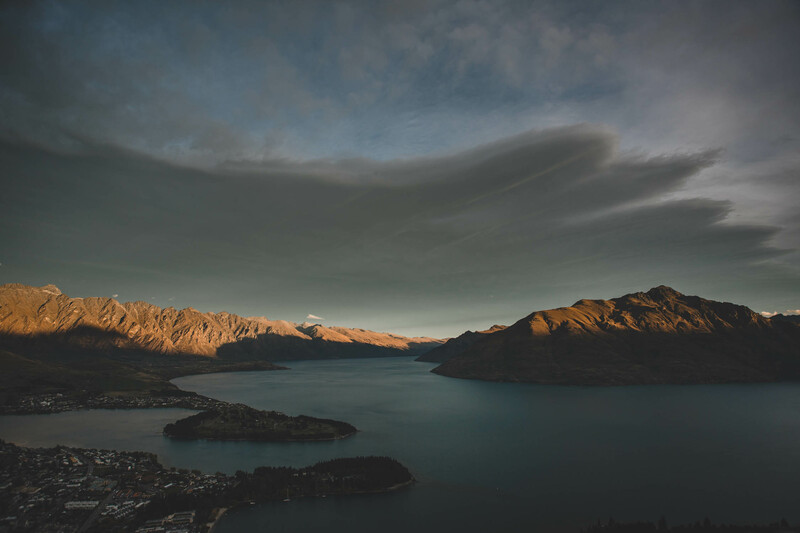 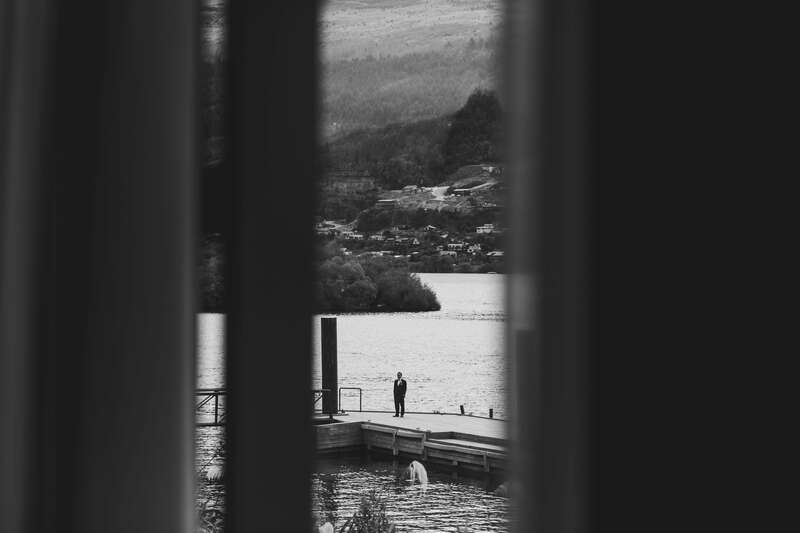 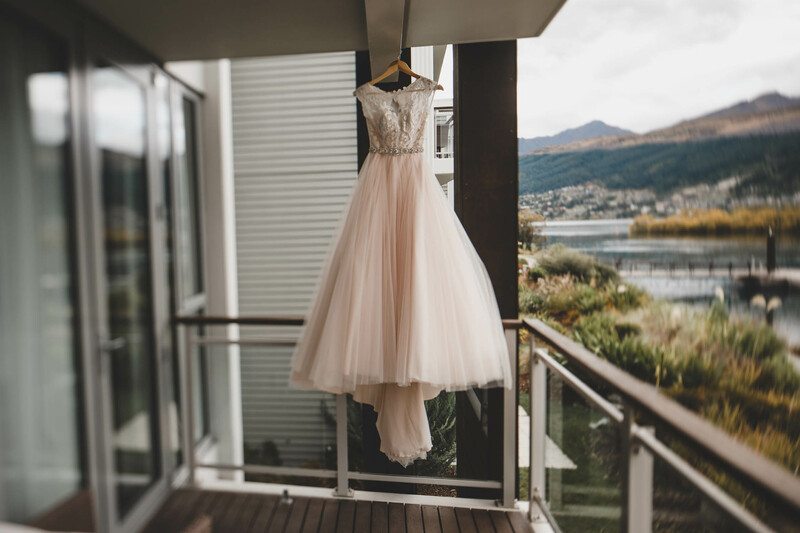 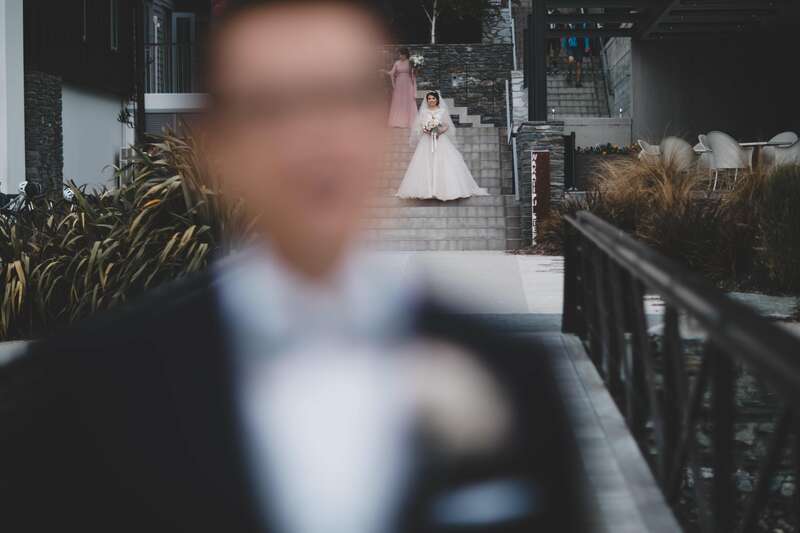 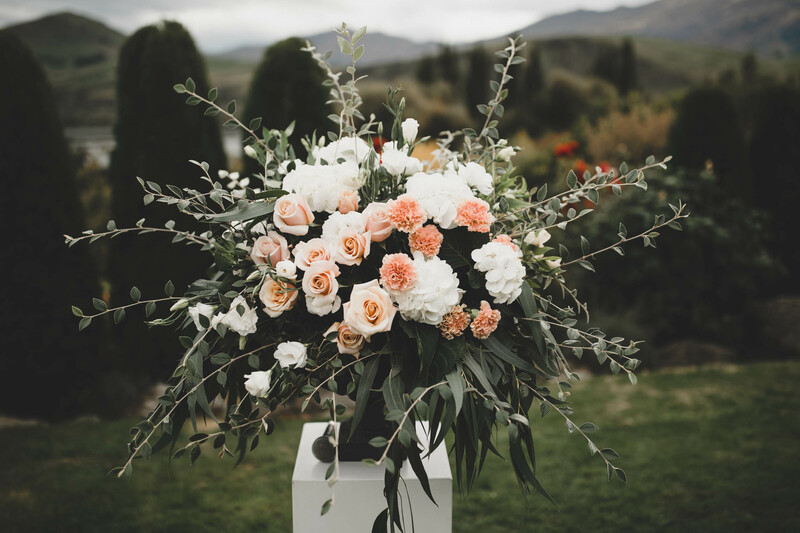 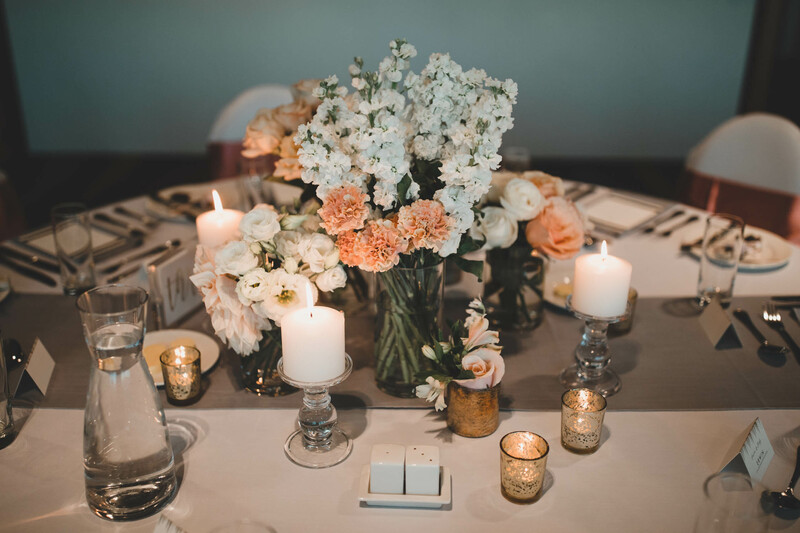 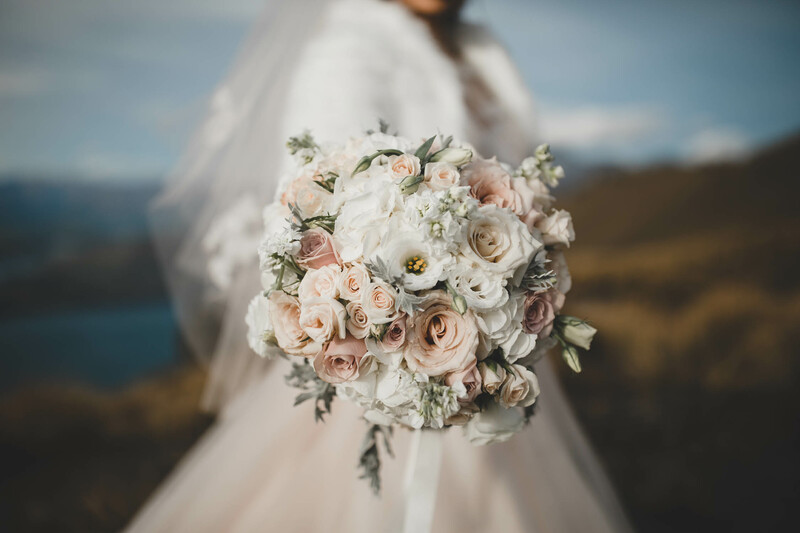 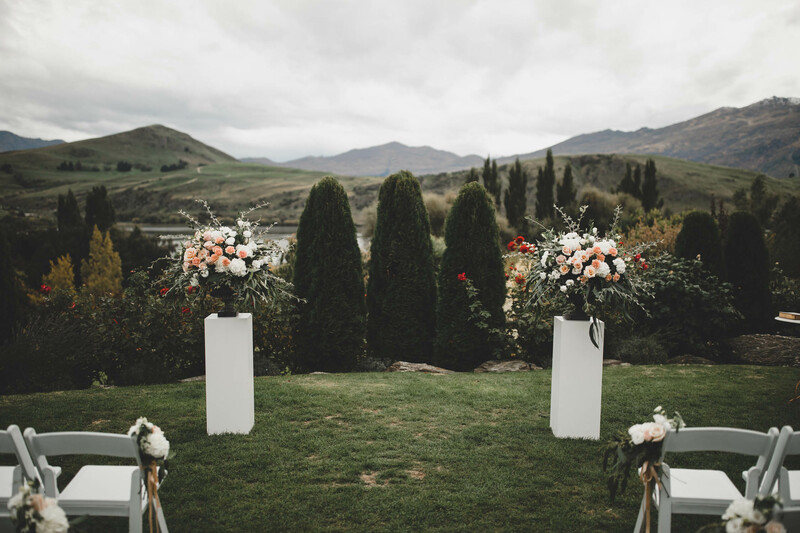 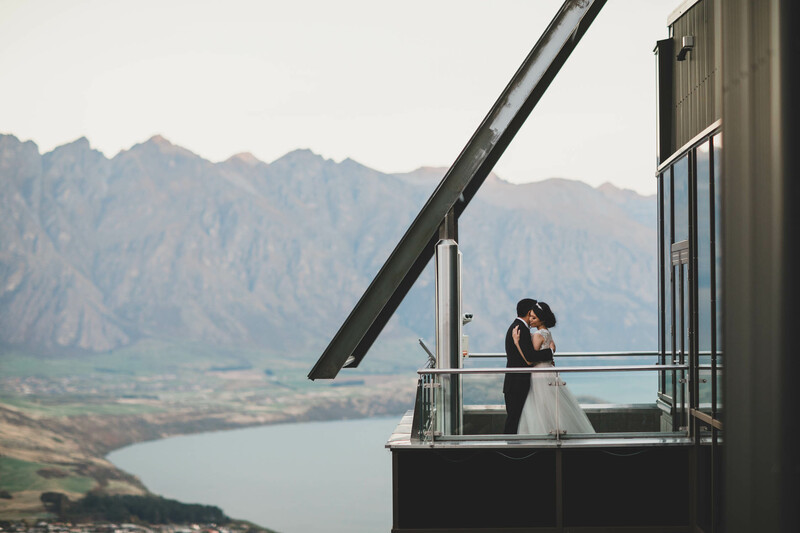 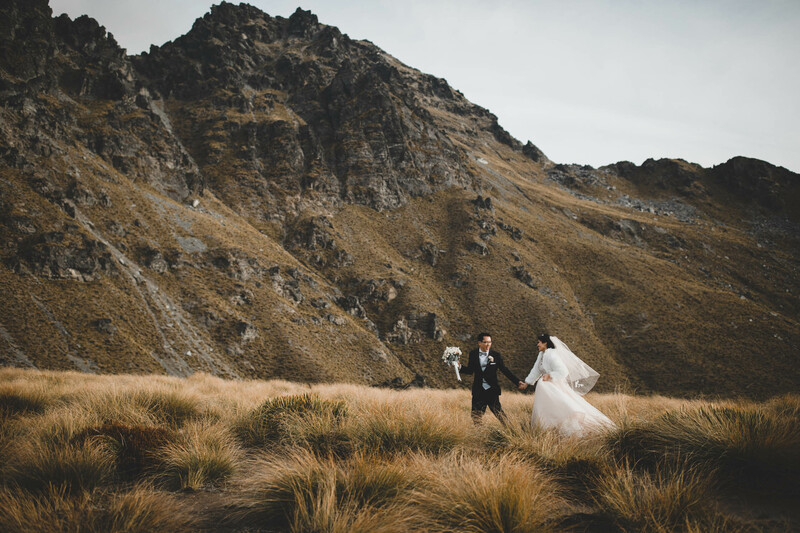 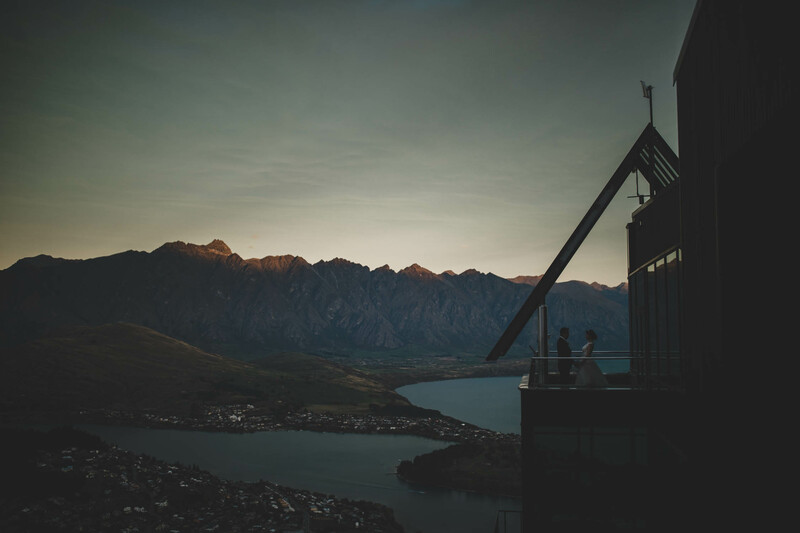 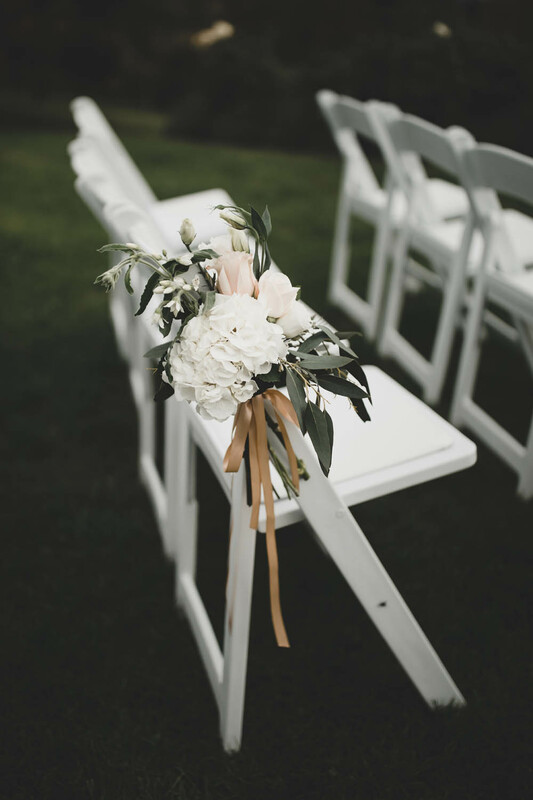 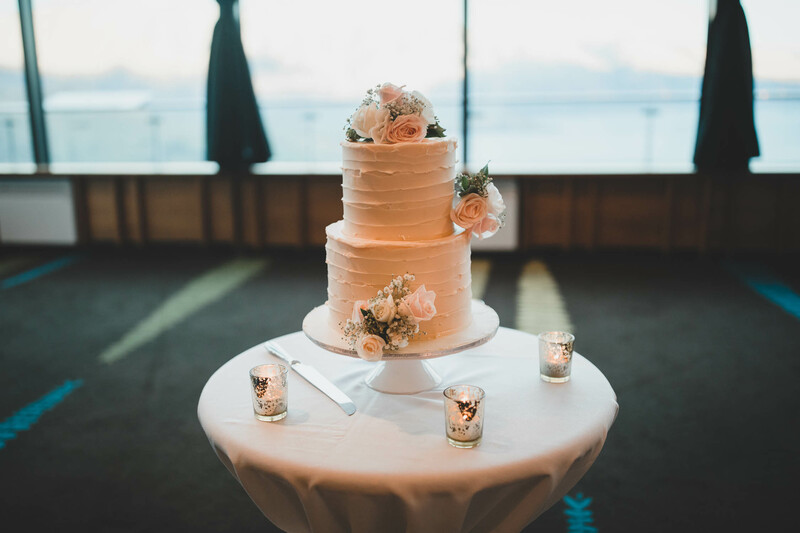 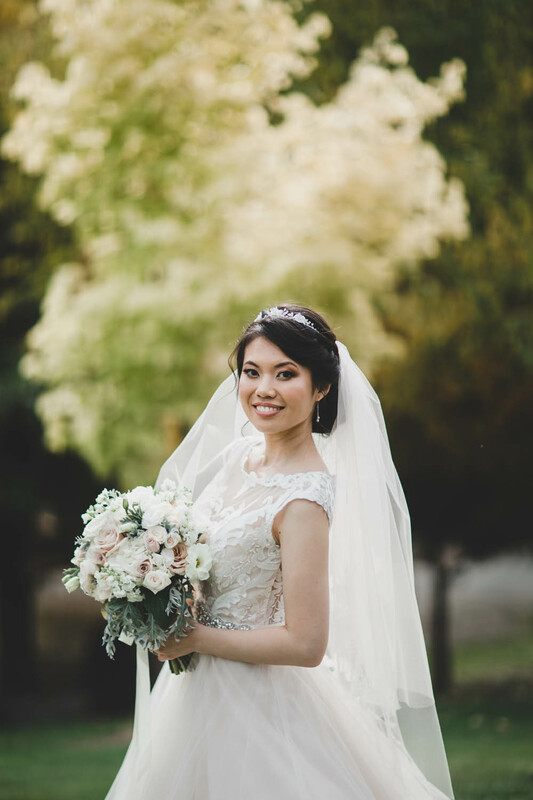 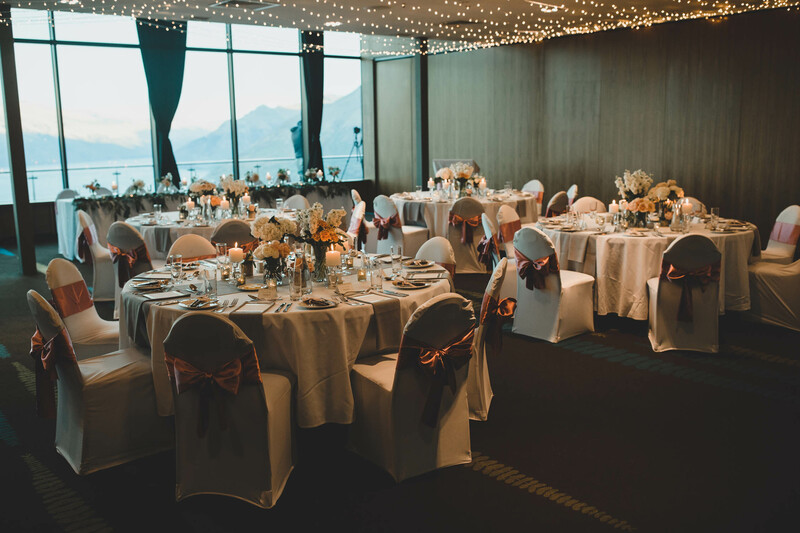 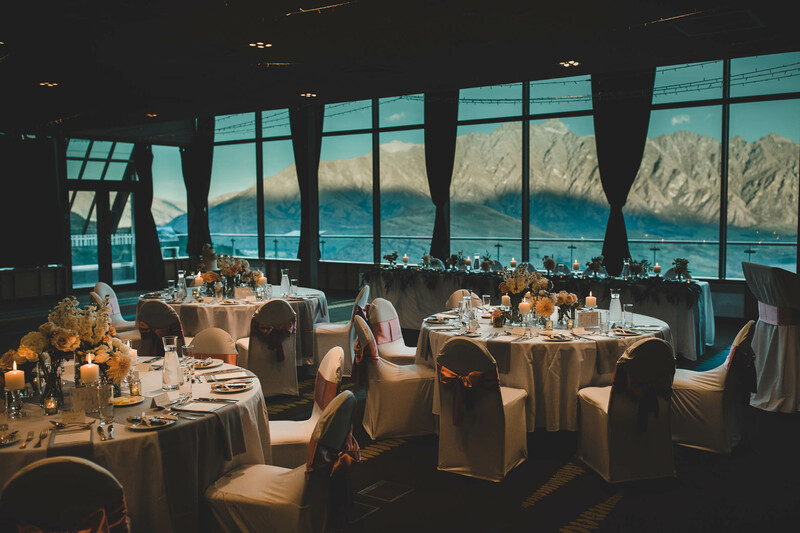 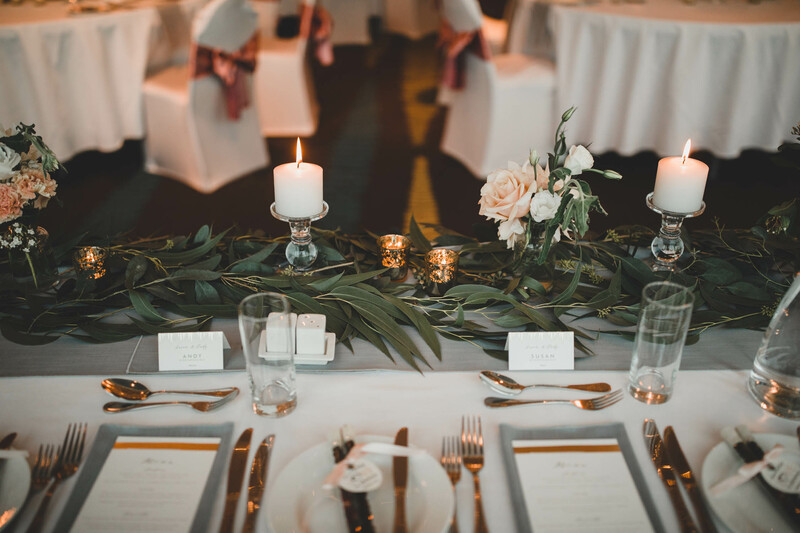 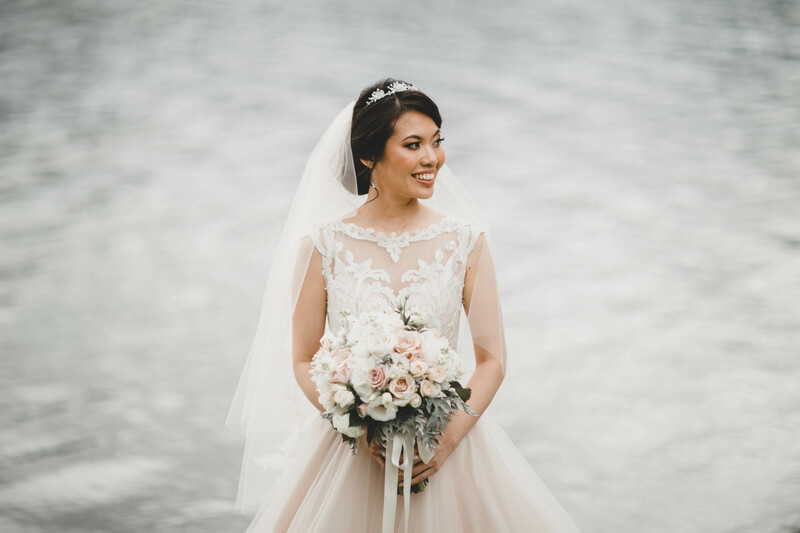 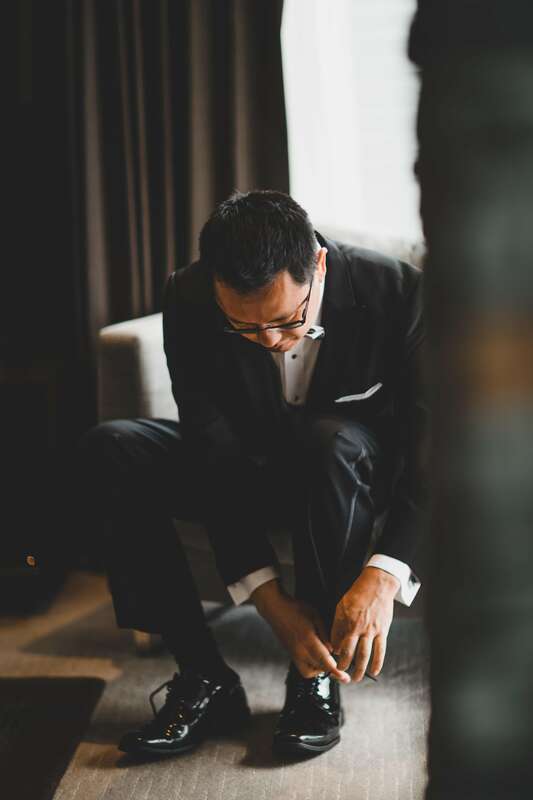 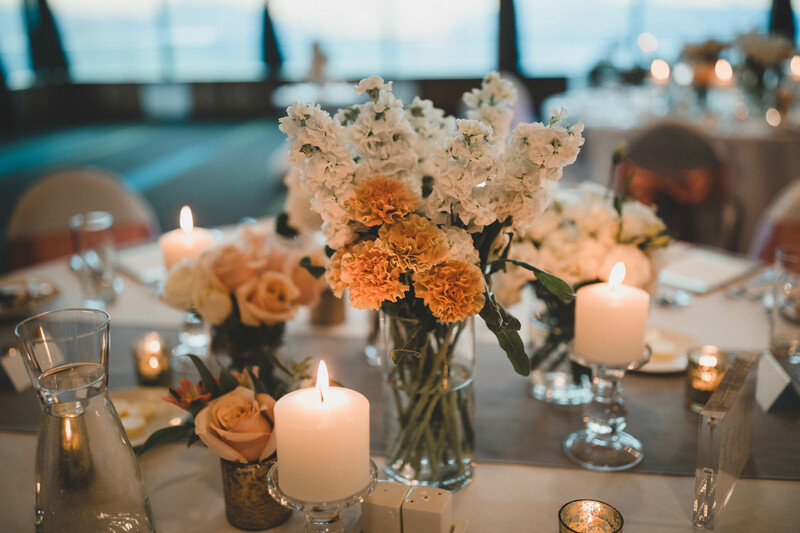 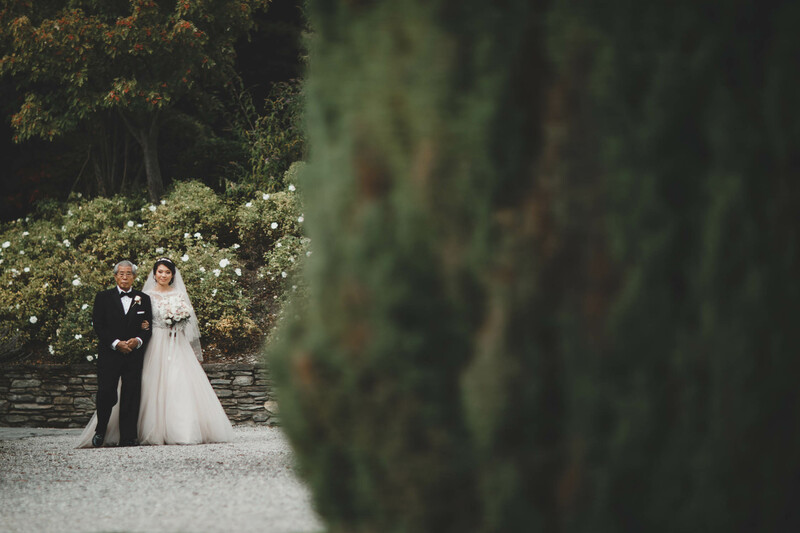 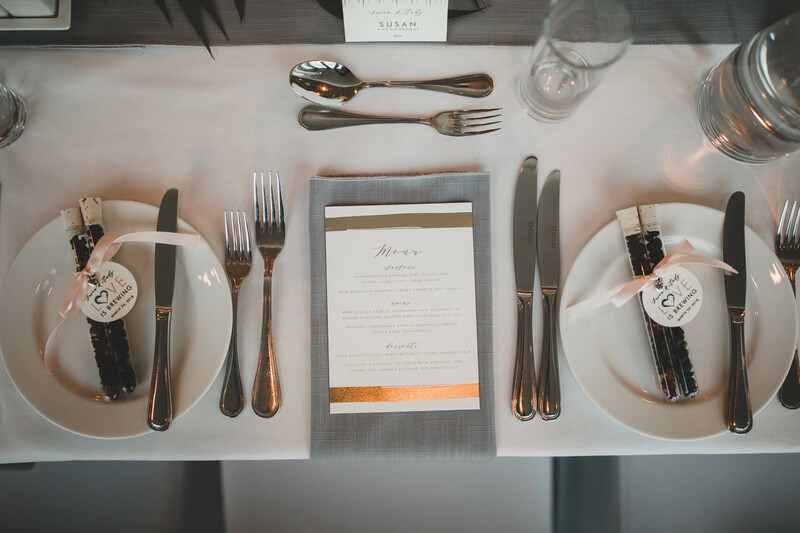 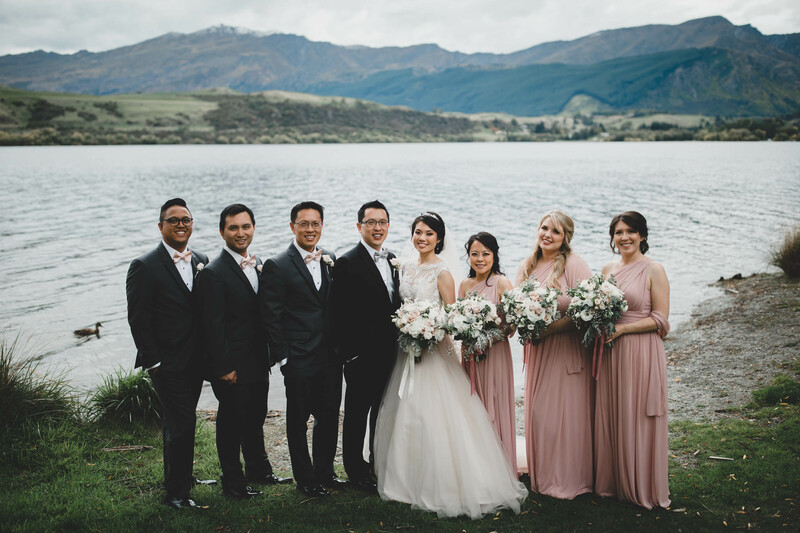 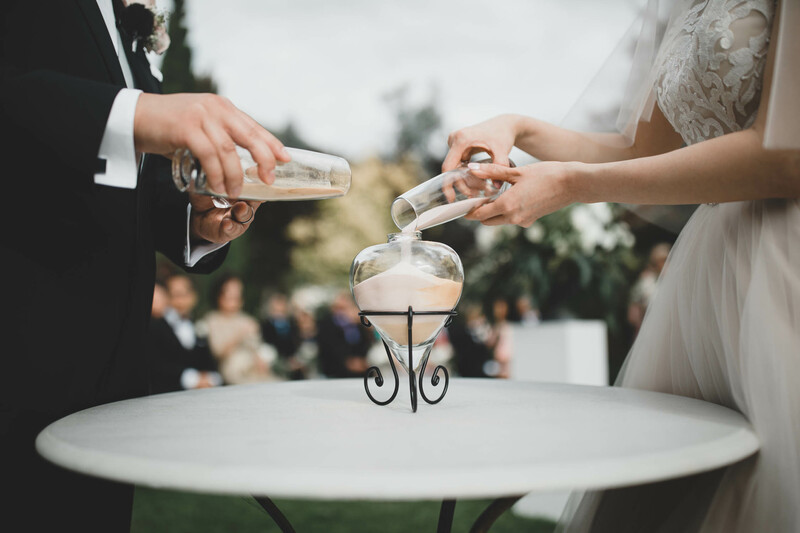 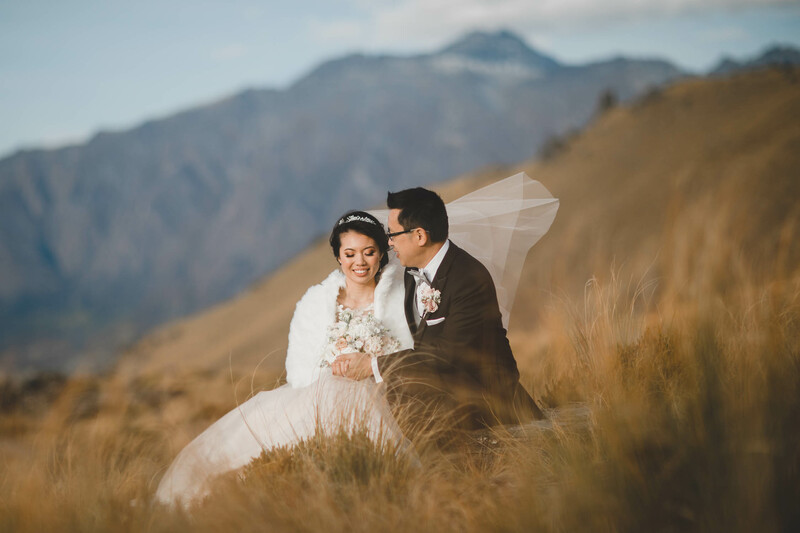 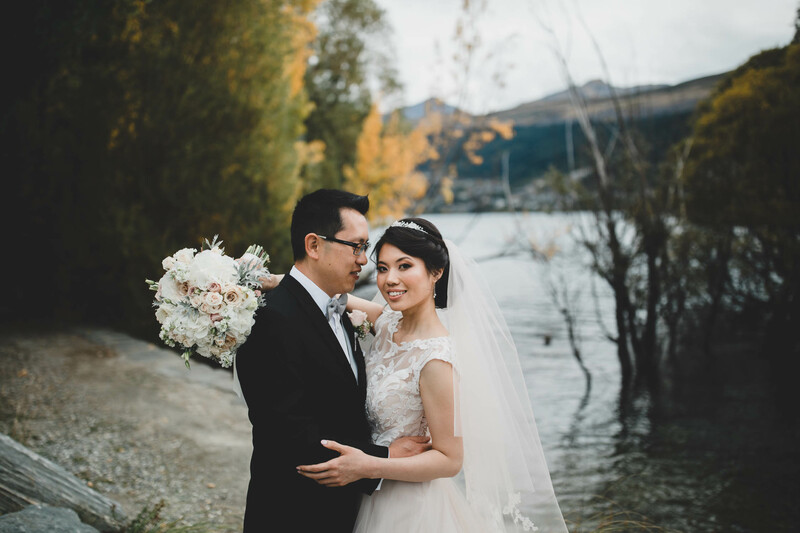 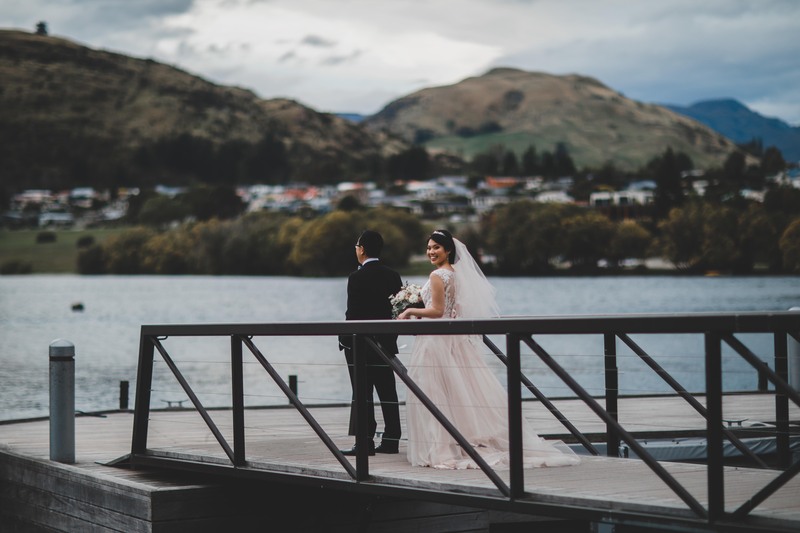 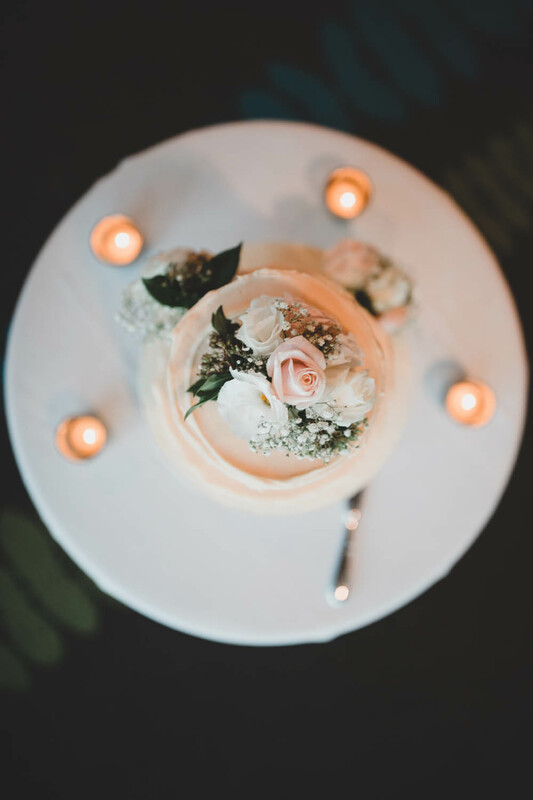 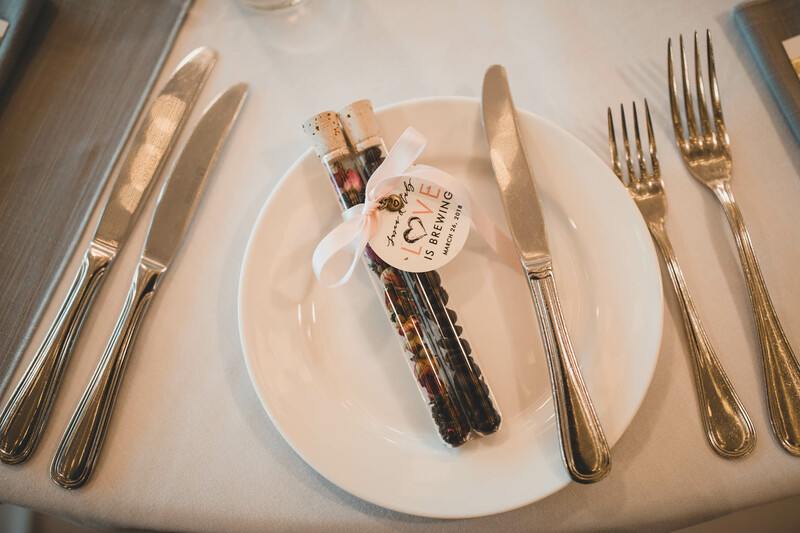 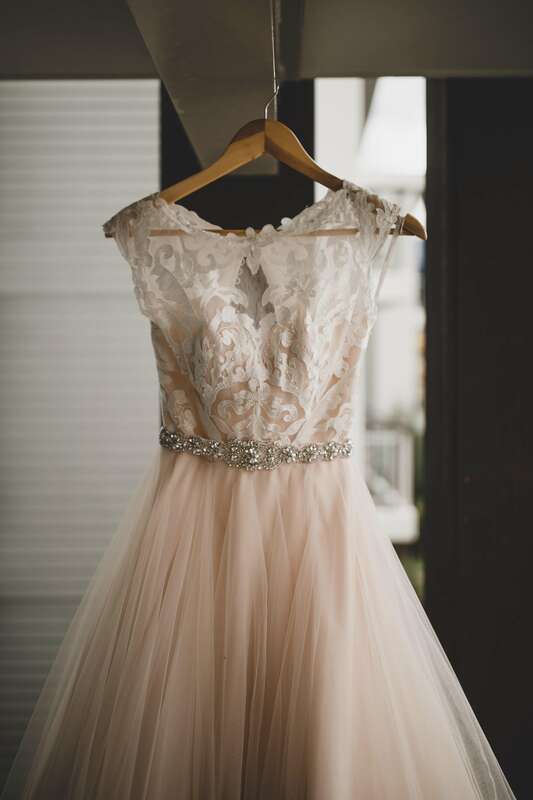 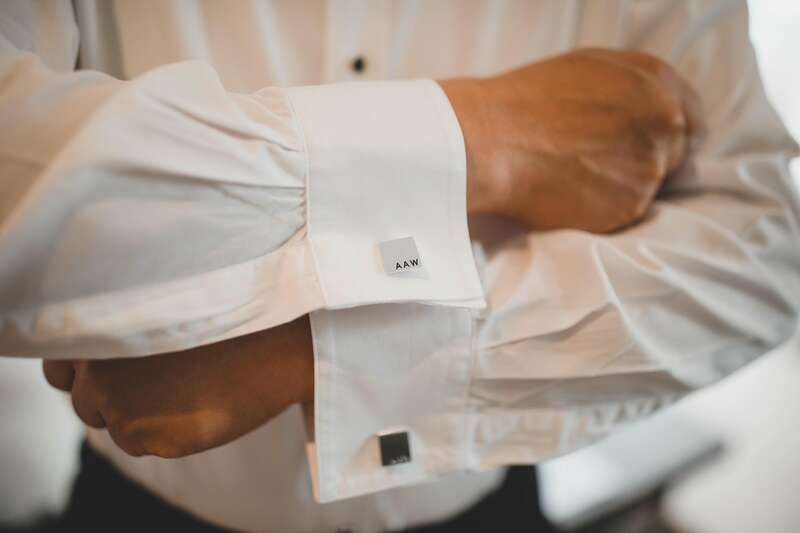 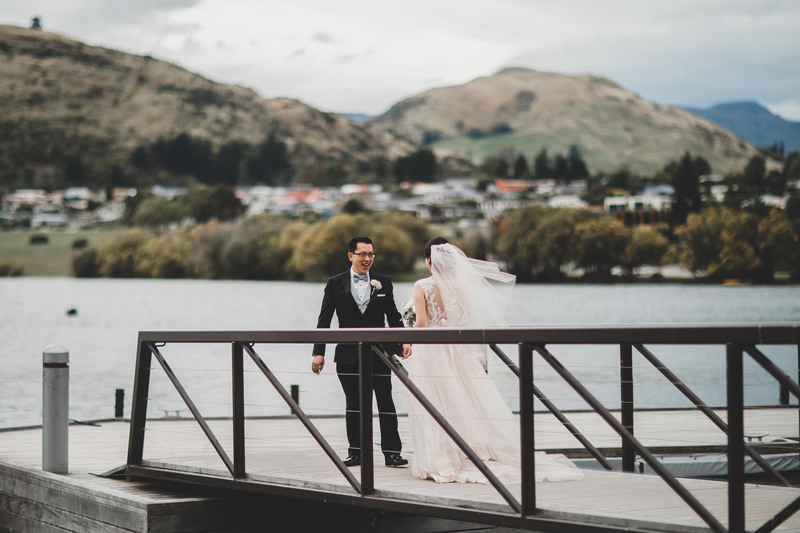 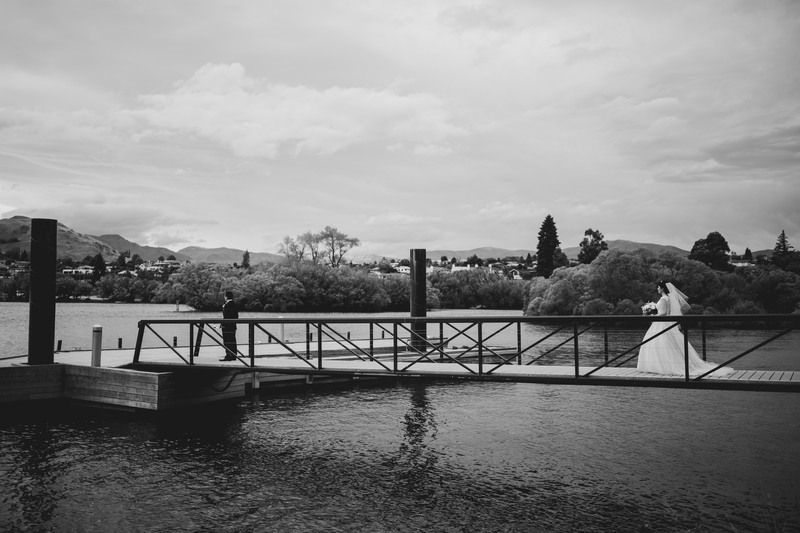 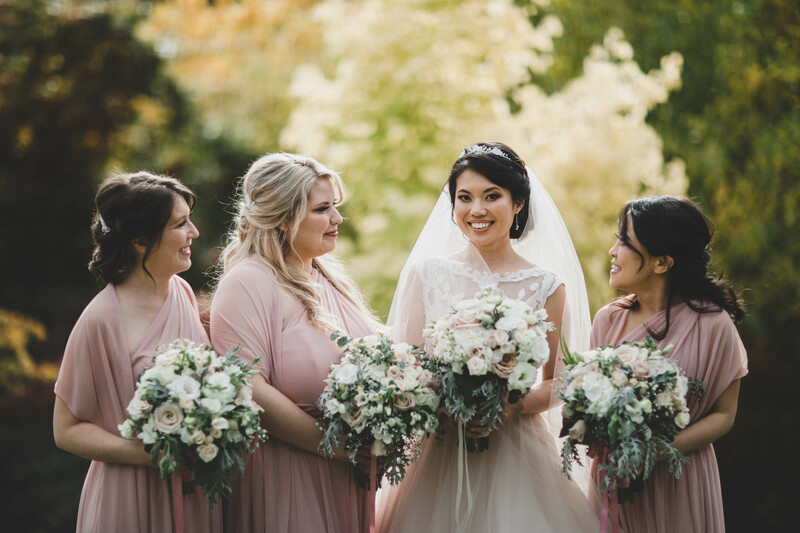 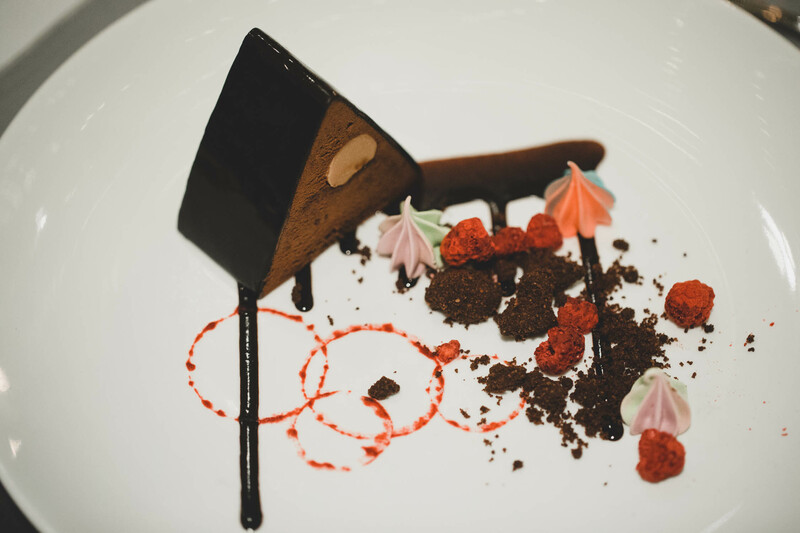 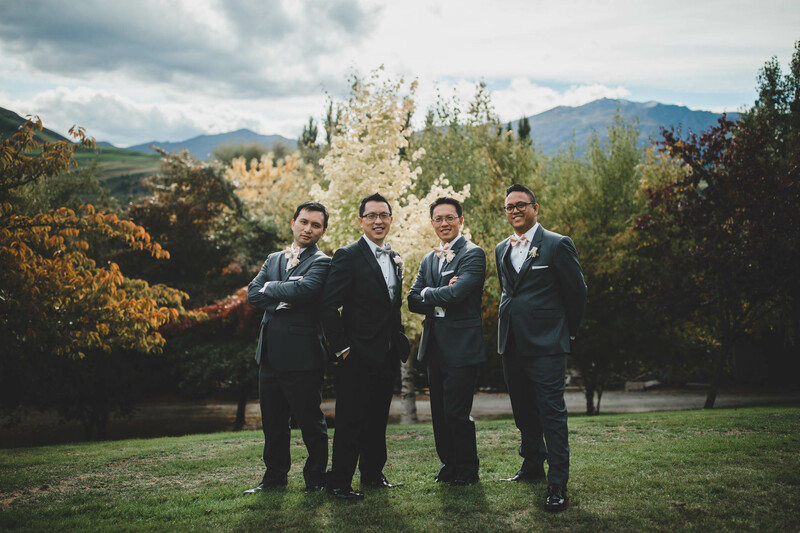 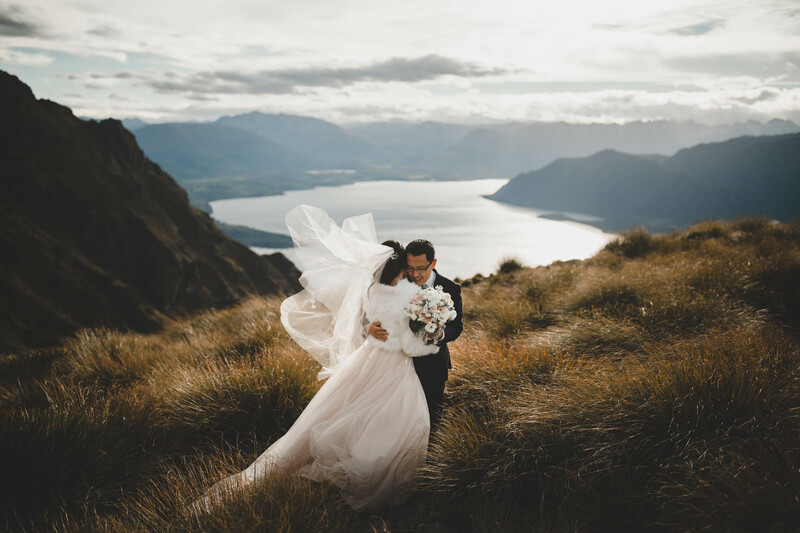 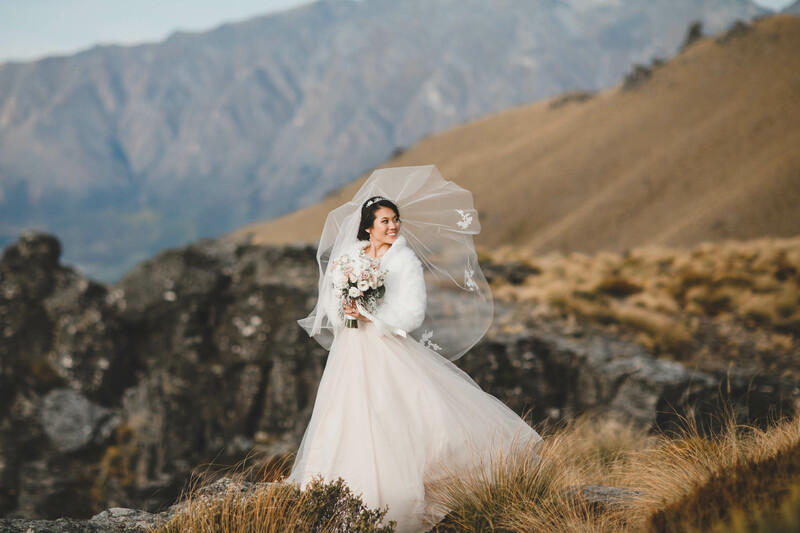 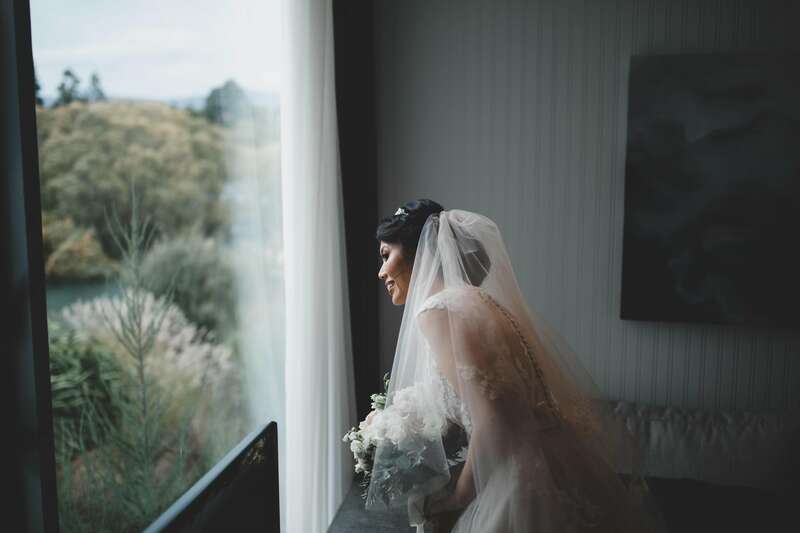 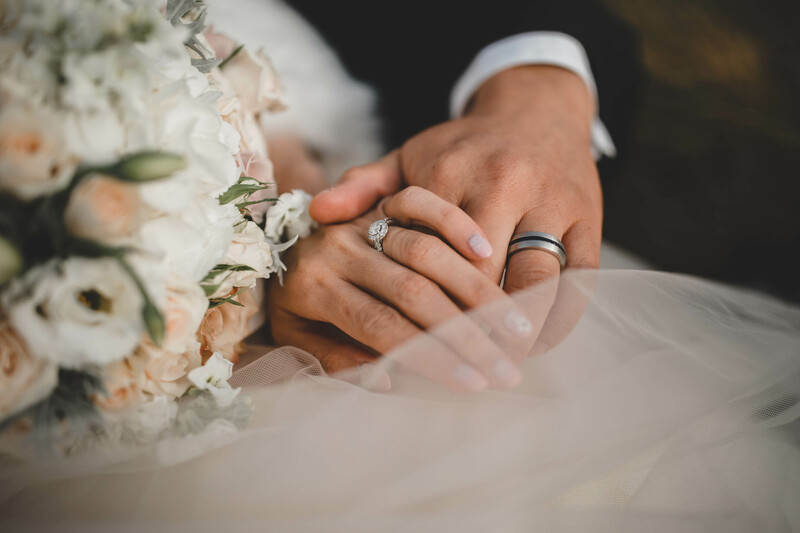 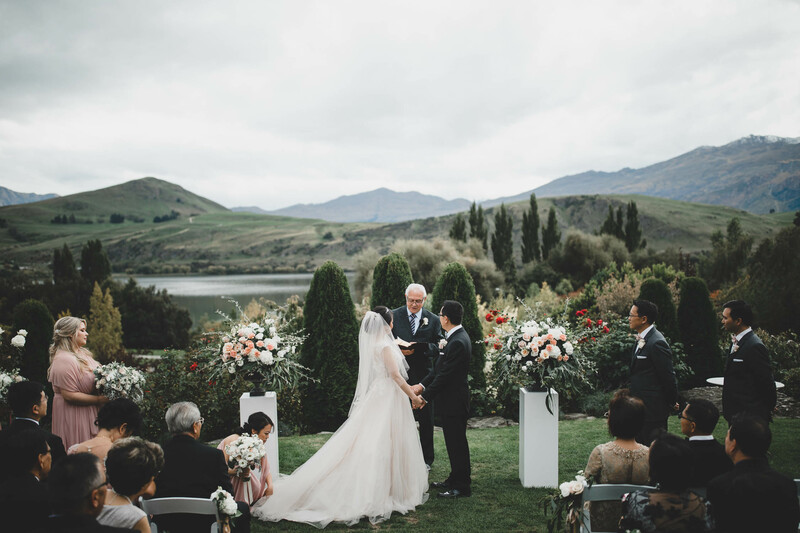 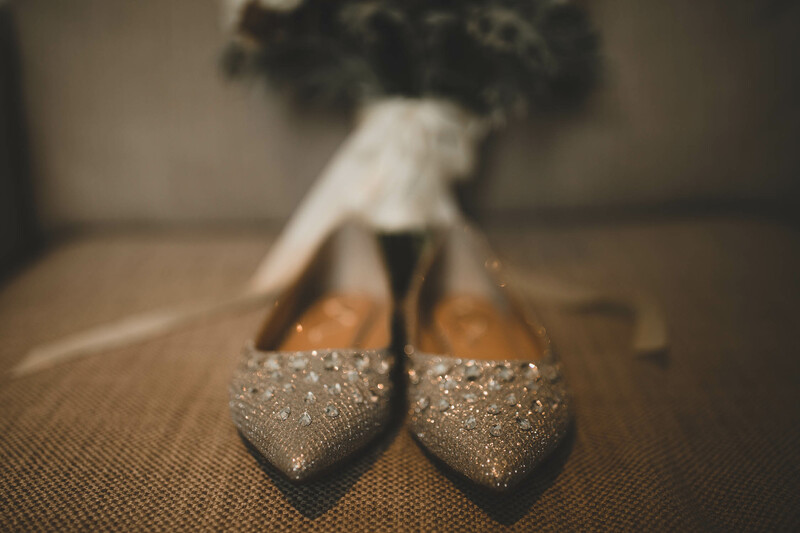 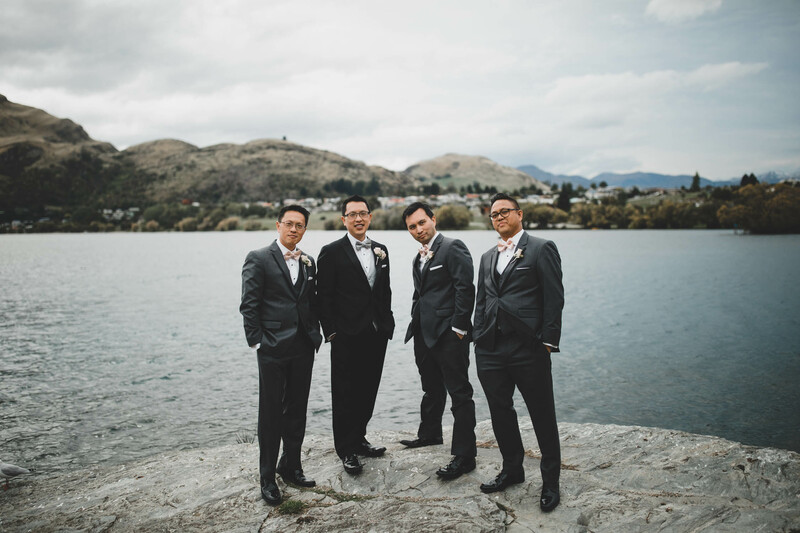 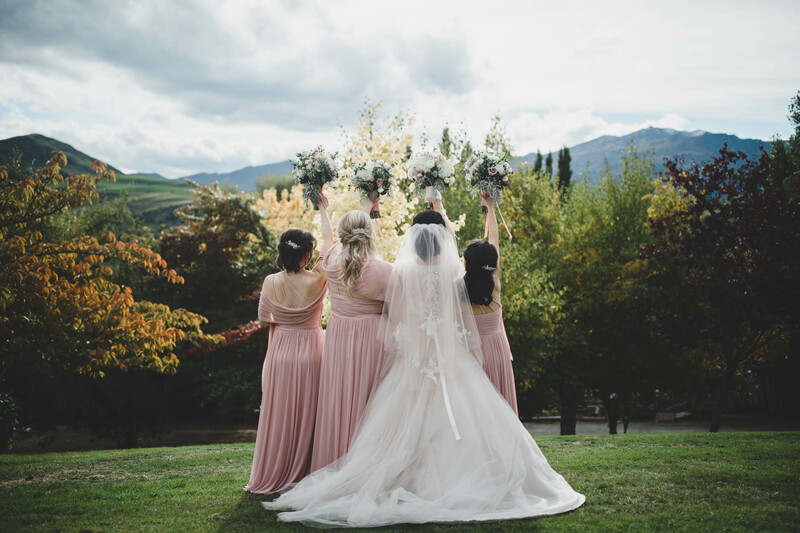 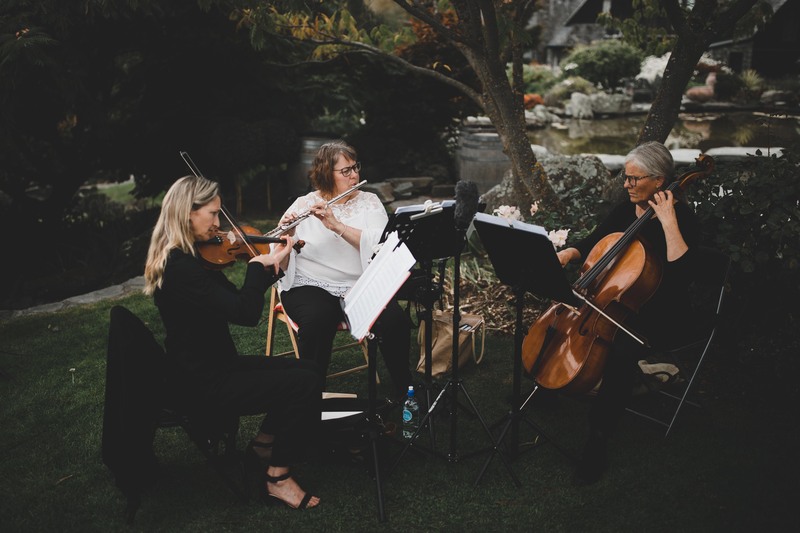 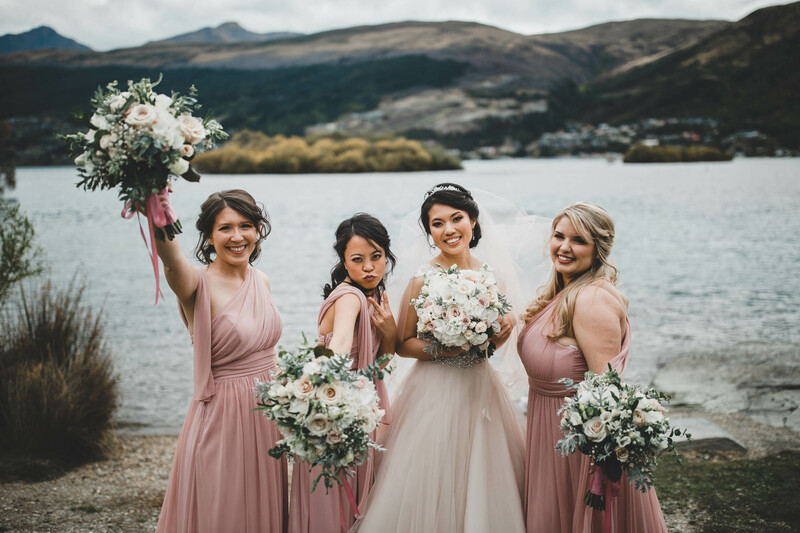 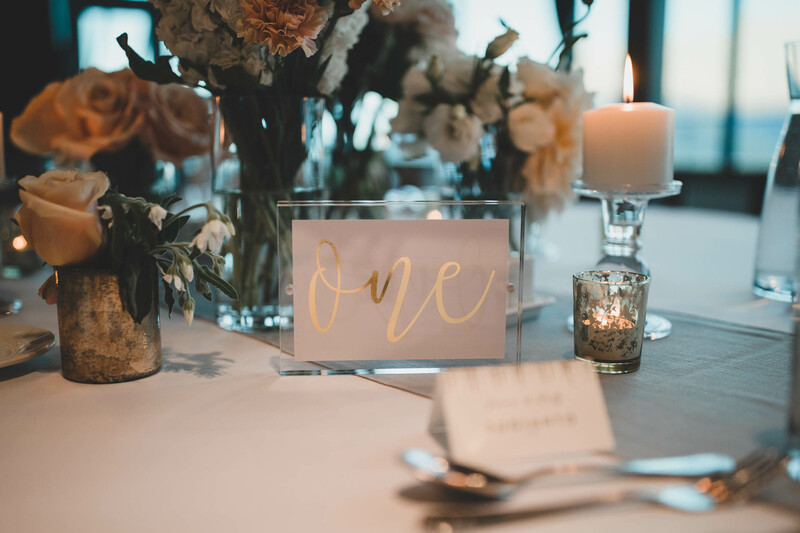 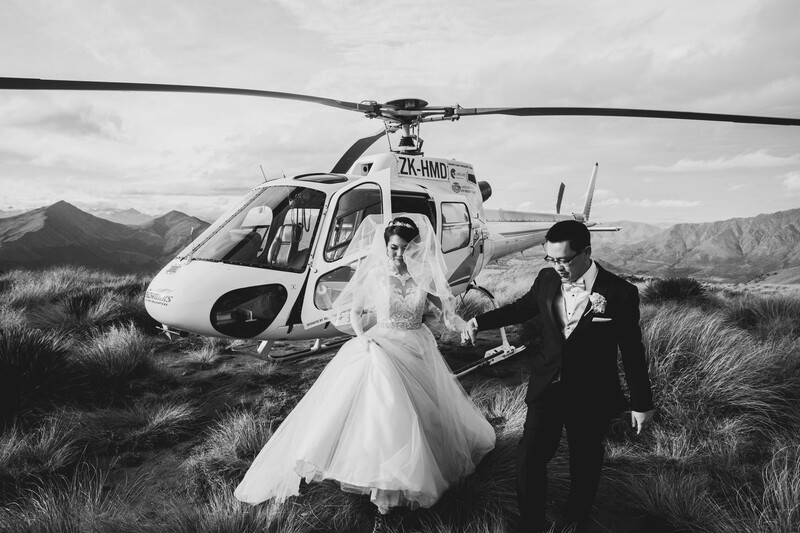 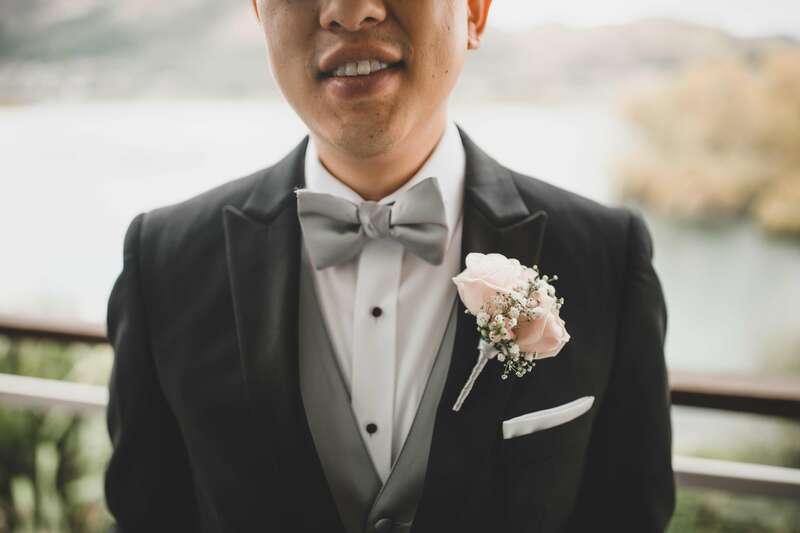 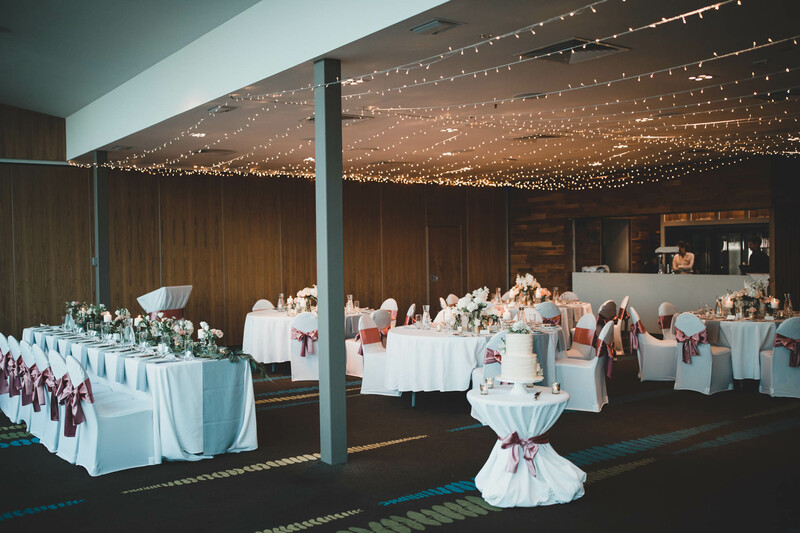 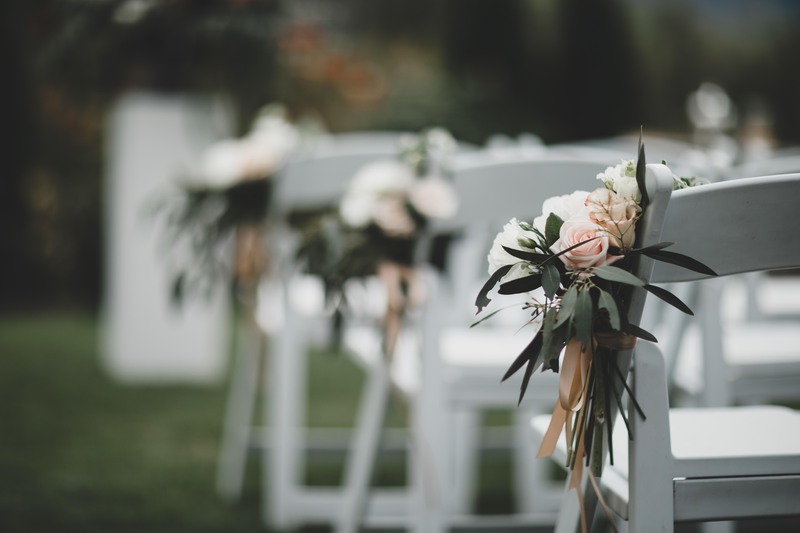 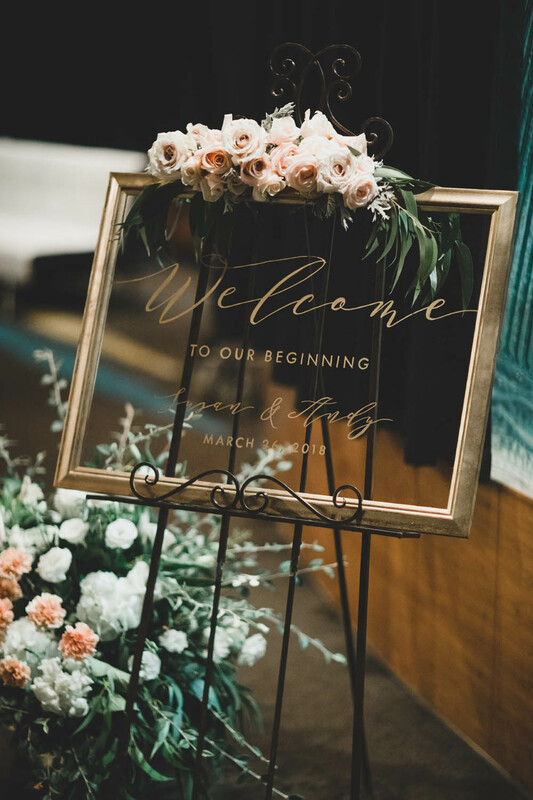 March was one of our busiest months of weddings so far, and tucked in near the the start of autumn, was Susan and Andy’s Queenstown destination wedding. 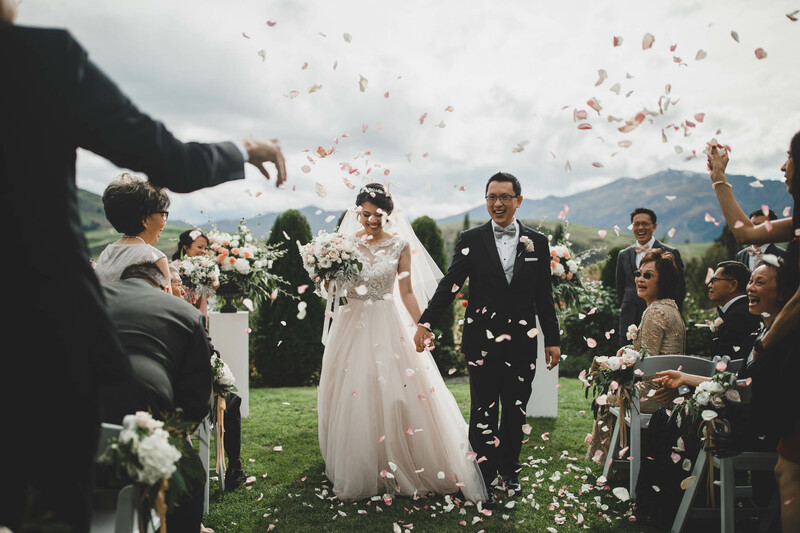 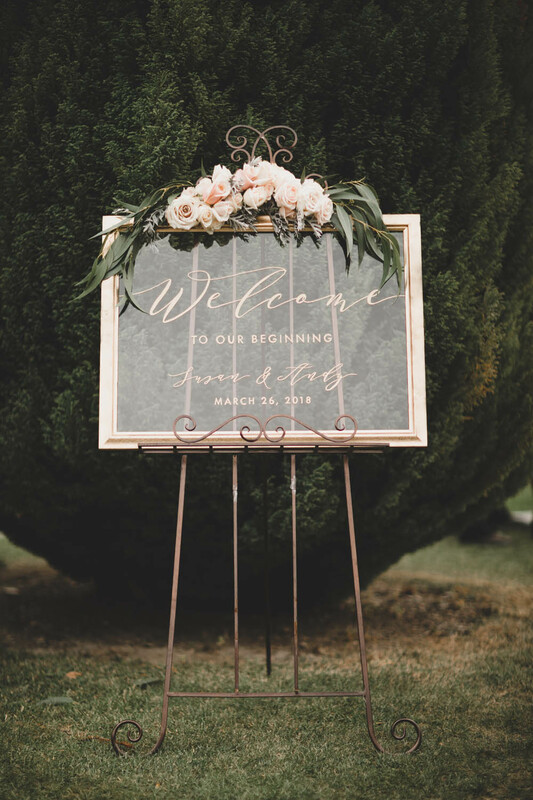 Travelling from California with a tight-nit gathering of friends and family, the loved-up pair planned and styled their wedding to a Tee. 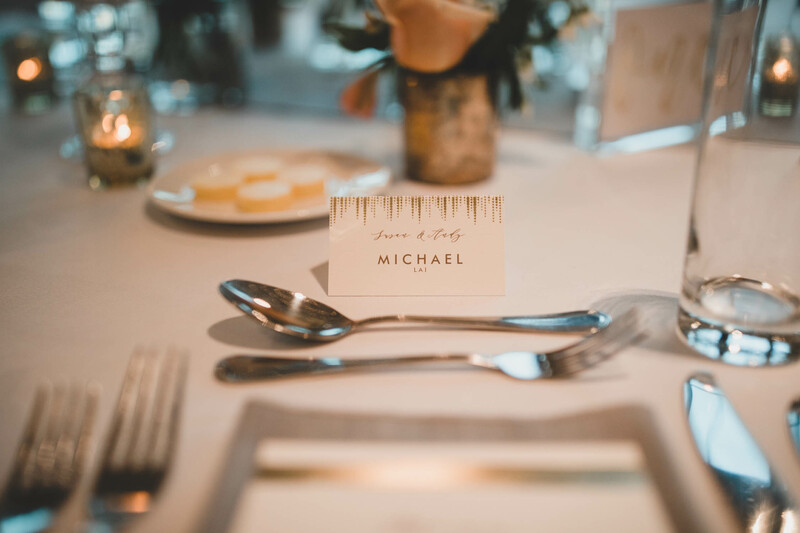 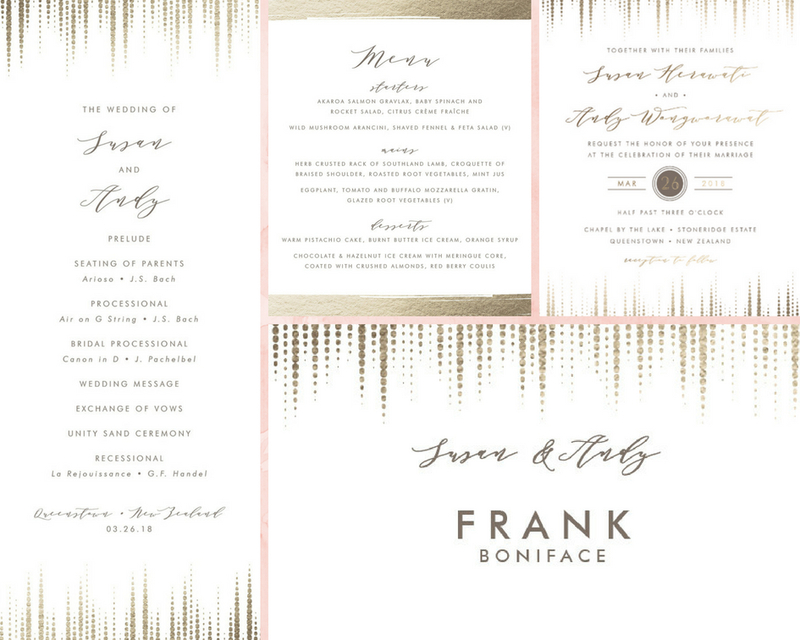 With attention paid to the smallest of details, from a personalised trip itinerary for guests, beautiful gold stationary designed by the groom himself, colour coordinated guests, warming tea + coffee favours and the sweetest of memory-lane videos – their wedding was a beautiful day enjoyed by everyone involved. 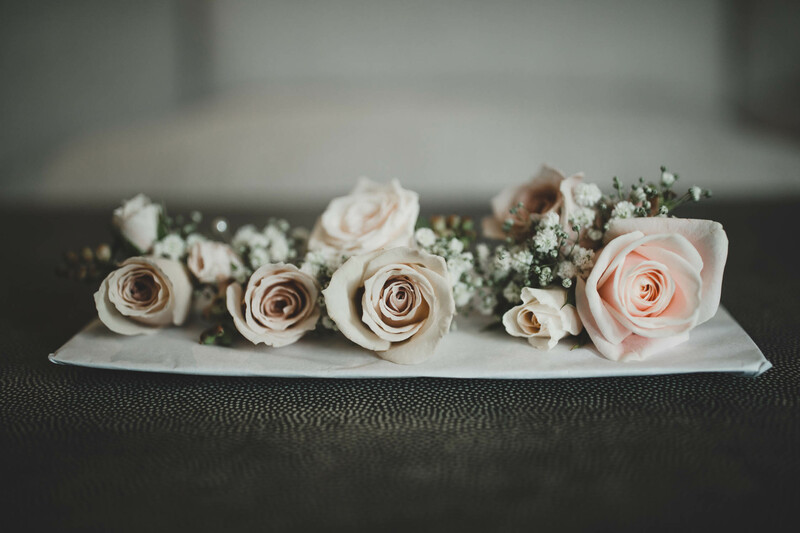 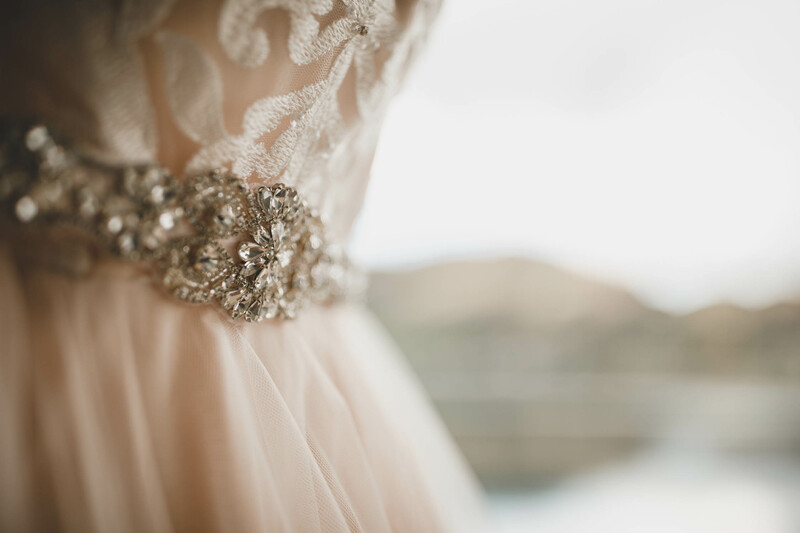 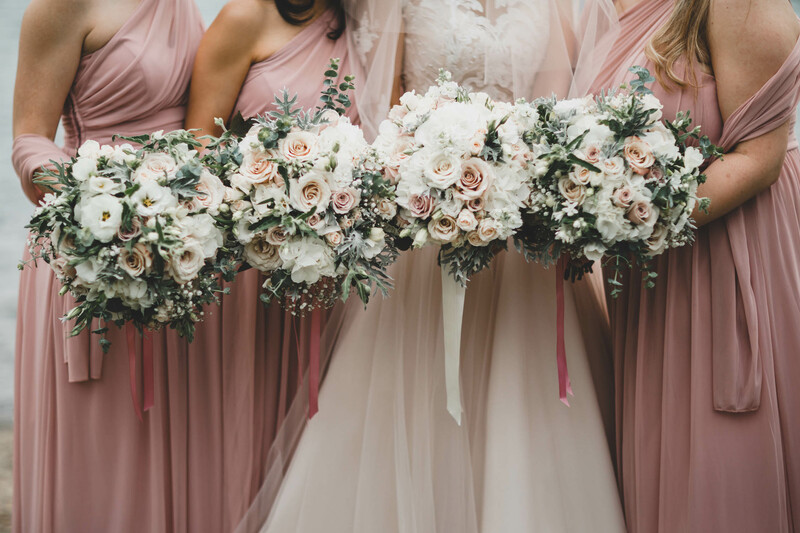 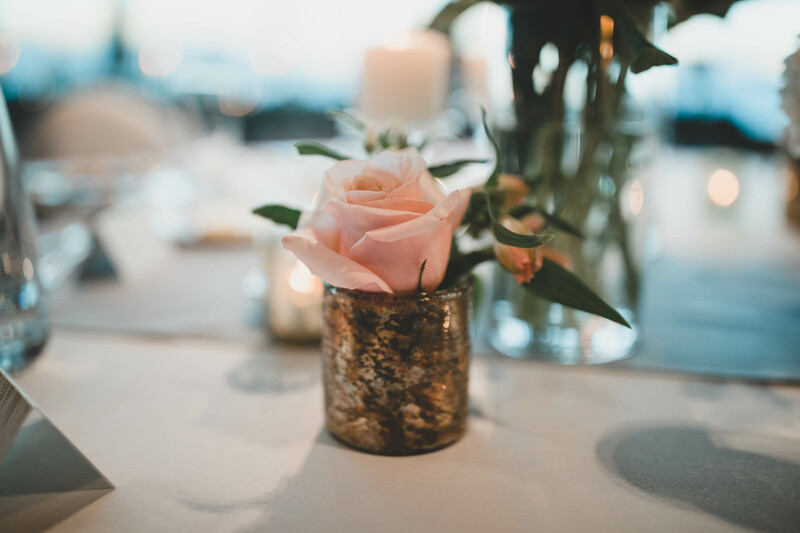 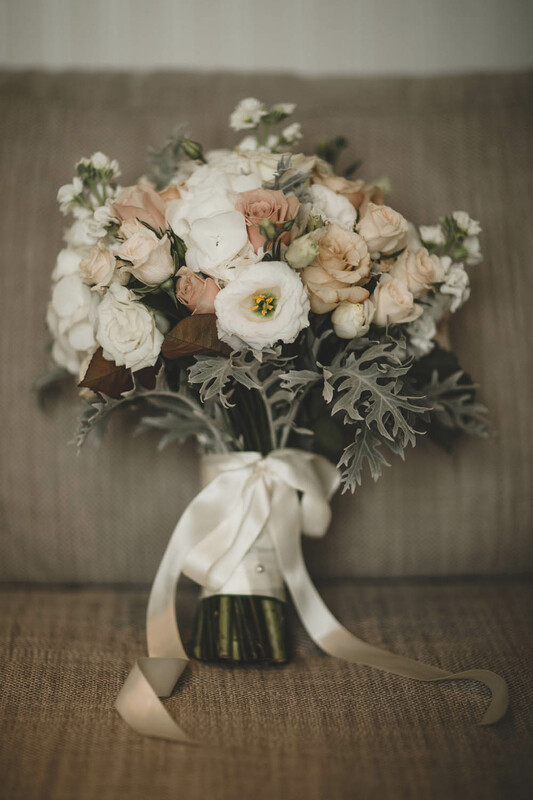 The dusky pink, grey and gold colour scheme can be seen throughout the day and we think the bridal bouquets by The Flower Room are pieces of art in their own right! 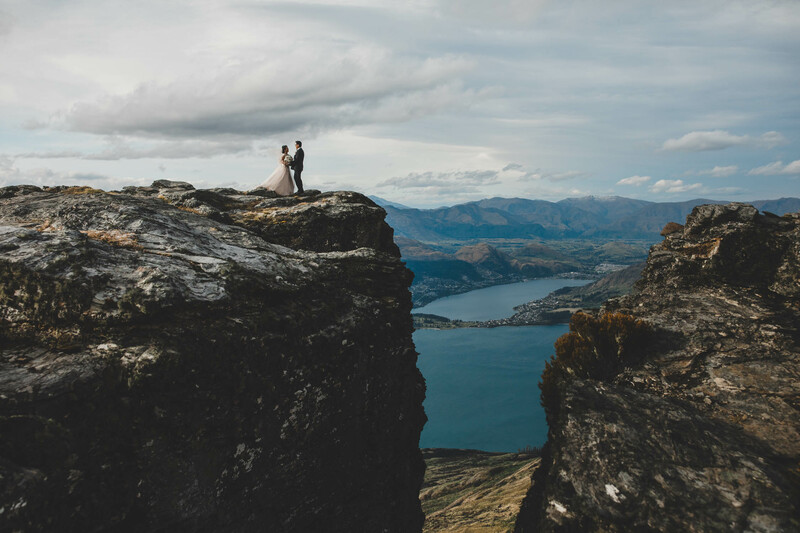 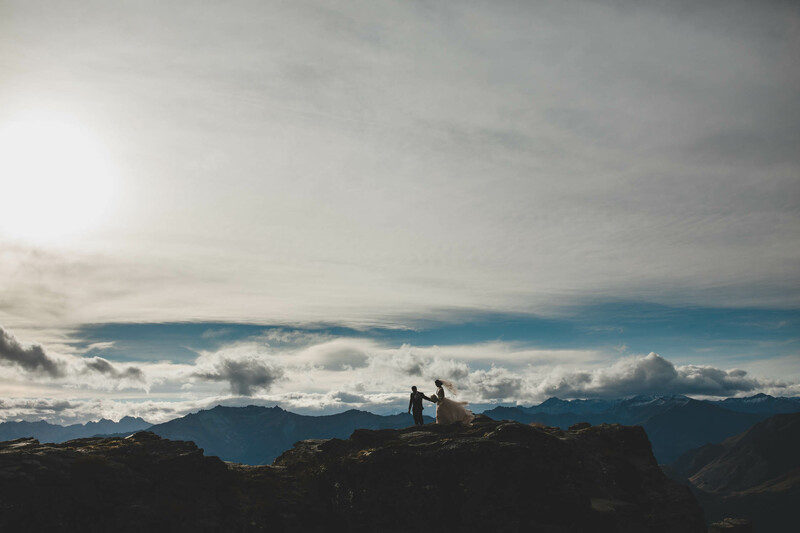 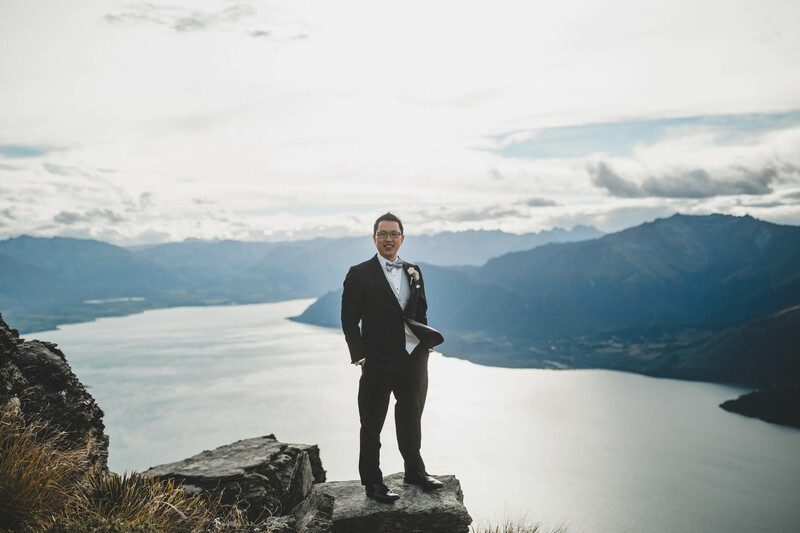 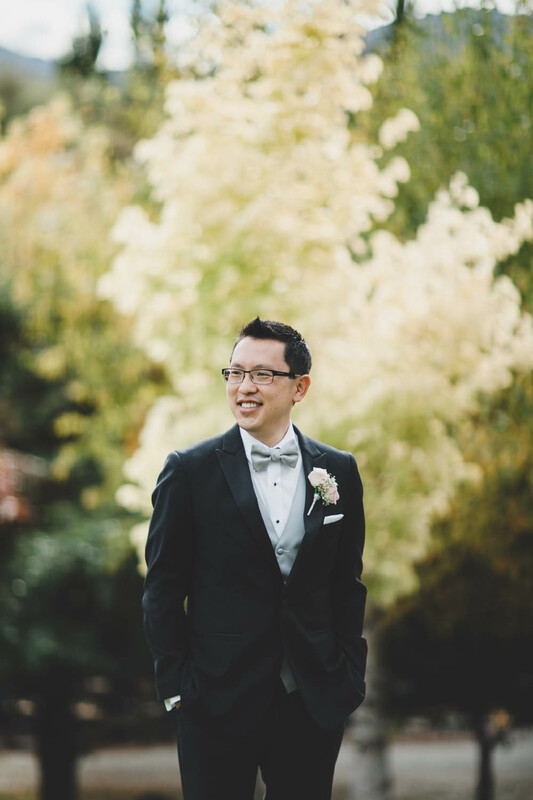 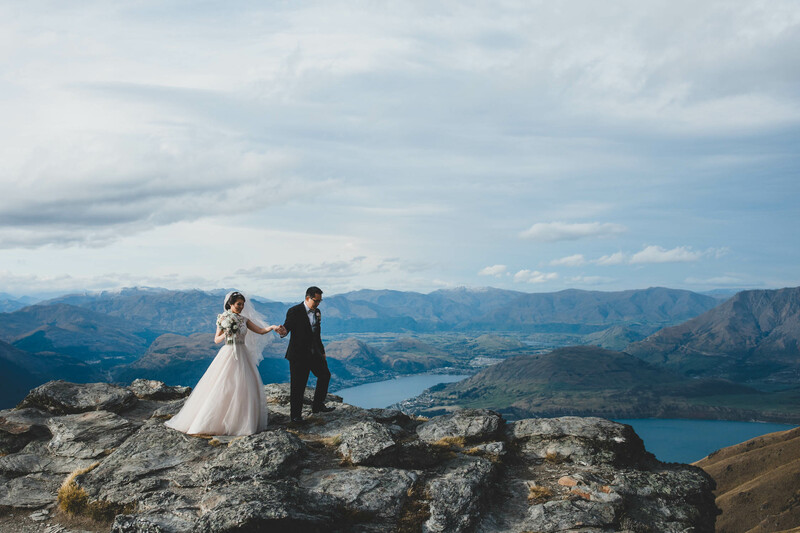 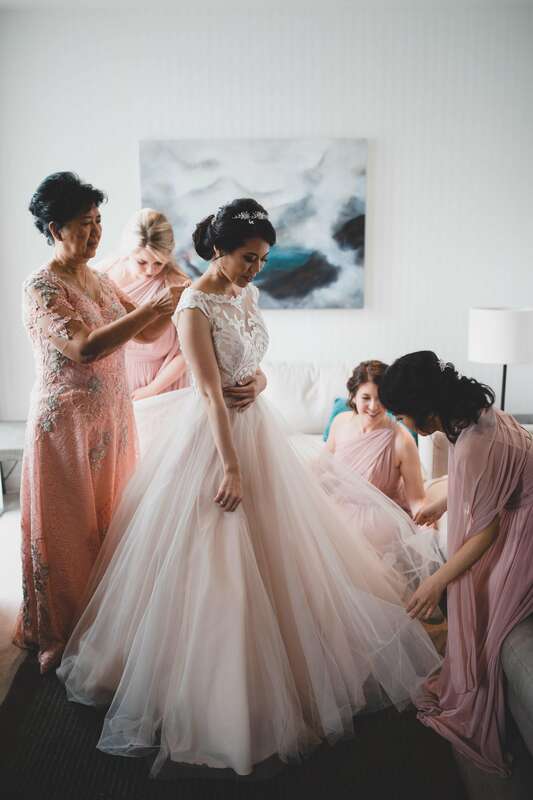 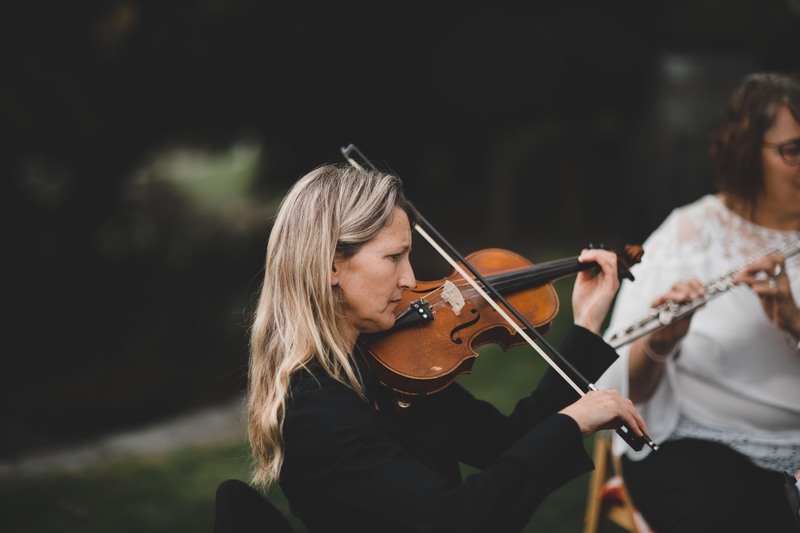 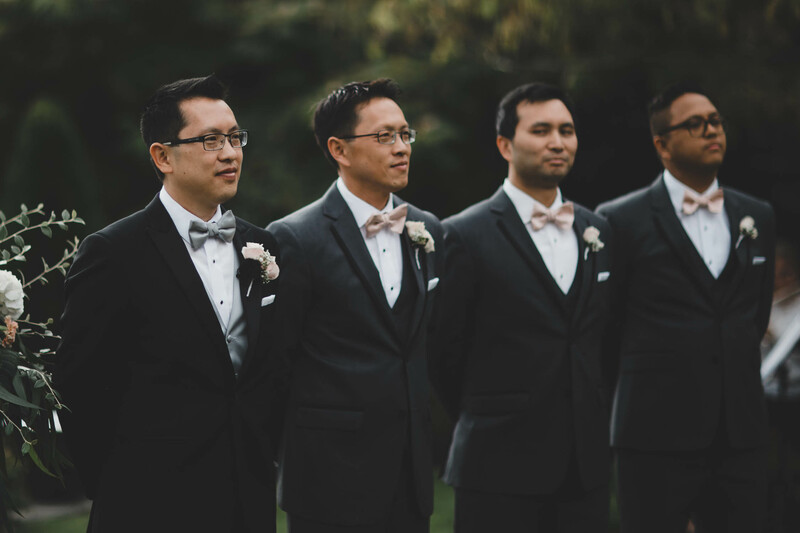 After the ceremony, which included a sand-unity ceremony and the groomsmen jumping in to play alongside the string trio, Susan and Andy flew up to The Ledge on Cecil Peak for a gorgeous photoshoot with Williams Photography. 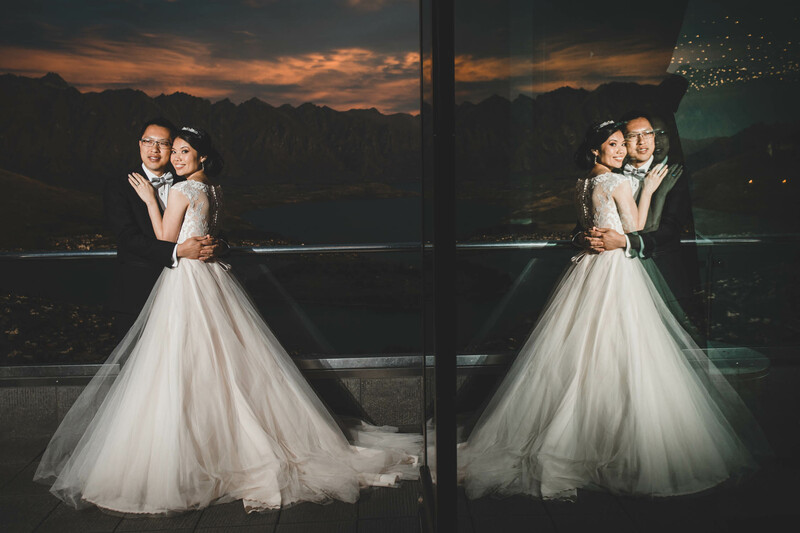 The lighting was nothing short of spectacular and you’ll see the skies danced throughout the whole evening, with stunning cloud patterns and a beautiful sunset to finish such a special day!